As parents, Sherry and Jeff balance their desire to do what is best for Micah with a willingness to let him make his own decisions. One of those decisions was to attend Landmark College. During his junior and senior years, Micah went through the college search process, like many high school students. The best matches, according to his college counselor, were all on the East Coast—far away from home and the routines that had worked for so many years. 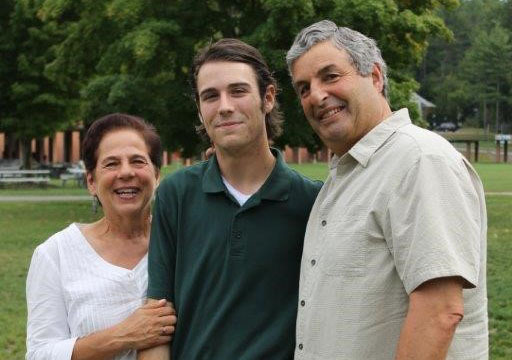 Contemplating a 3,000-mile separation, Micah and his family took a trip to three institutions in New England, one of which was actively recruiting him to play golf. After spending time in nearby Brattleboro, Vermont, they visited Landmark College. Although it was mid-August and the campus was quiet, Micah seemed to immediately know that Landmark was the right college for him, “I am coming here,” he said to his parents. Micah’s time at Landmark has been full of new experiences, challenges, and successes, all of which have contributed to his commitment to earning a degree and to engaging in lifelong learning.